The CH337 is an extendable dining table designed in 1962 by Hans J. Wegner. Timeless, elegant as well as practical, the oval table made of oak is the perfect focal point in the dining room. The CH337 measures 140 x 115 cm and offers space for 6-8 people. This makes it possible to organise cosy dinner parties and big breakfasts with friends and family. Up to 4 unexpected guests can also be welcomed to the dinner table thanks to the additional leaves measuring 60 cm in width each (sold separately). 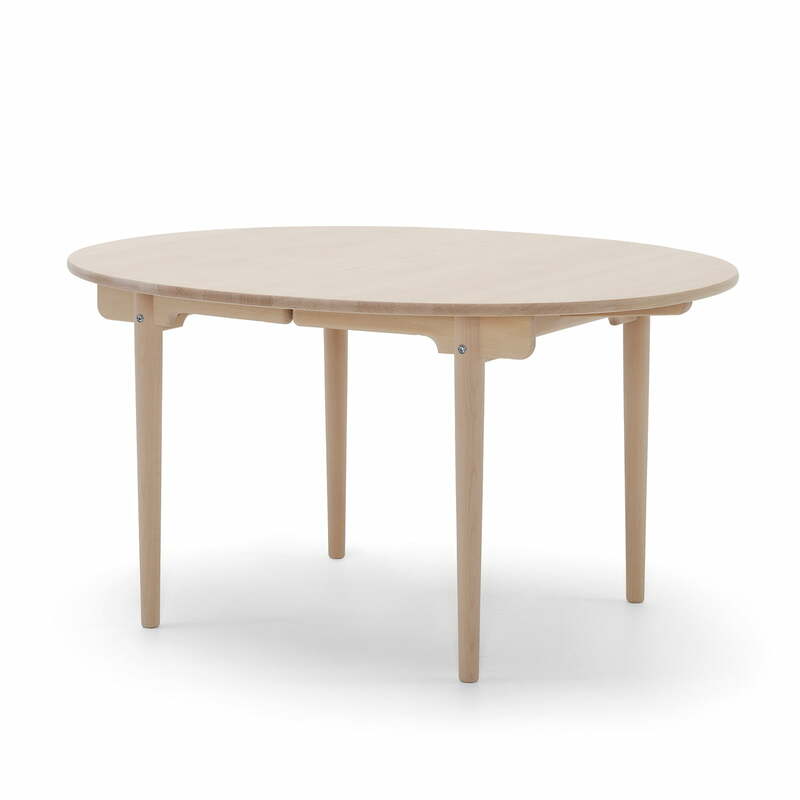 The dining table is made of solid oak and is available in an oiled or soaped version. The tapering legs give the charming Nordic style table an elegant touch that can be introduced into any environment. 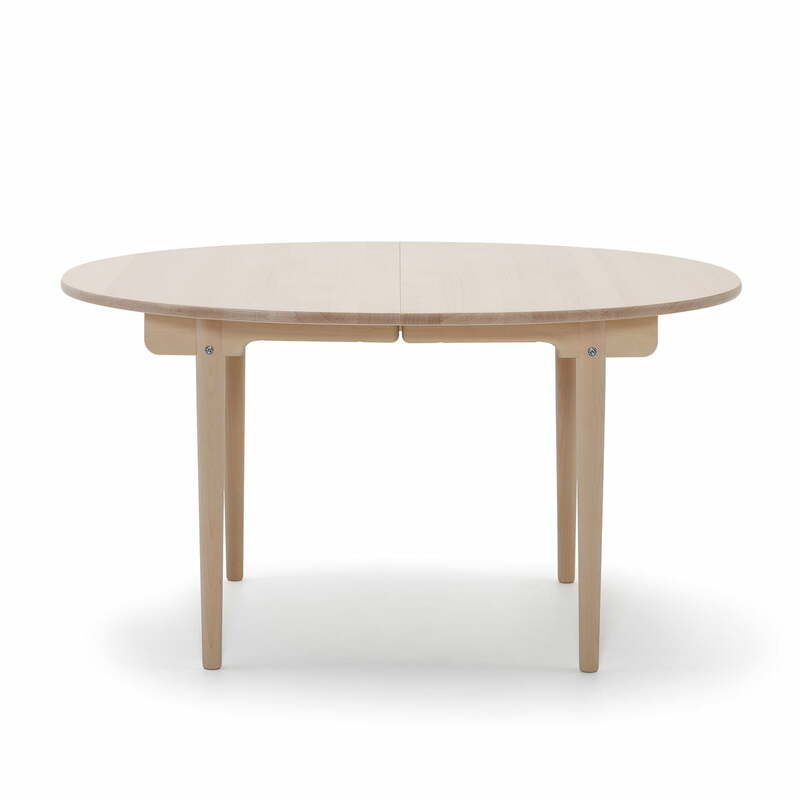 The Carl Hansen - CH337 extendable dining table in single view. The dining table is made of solid oak, in oiled or soaped variants. The narrow legs give it an elegant touch, so that the table blends perfectly into any ambience and spreads Nordic charm. Isolated product image of the Carl Hansen - CH337 extendable dining table. The CH337 is an extendable dining table, designed in 1962 by Hans J. Wegner. Carl Hansen - CH337 Extendable Dining Table with CH24 Wishbone Chair. 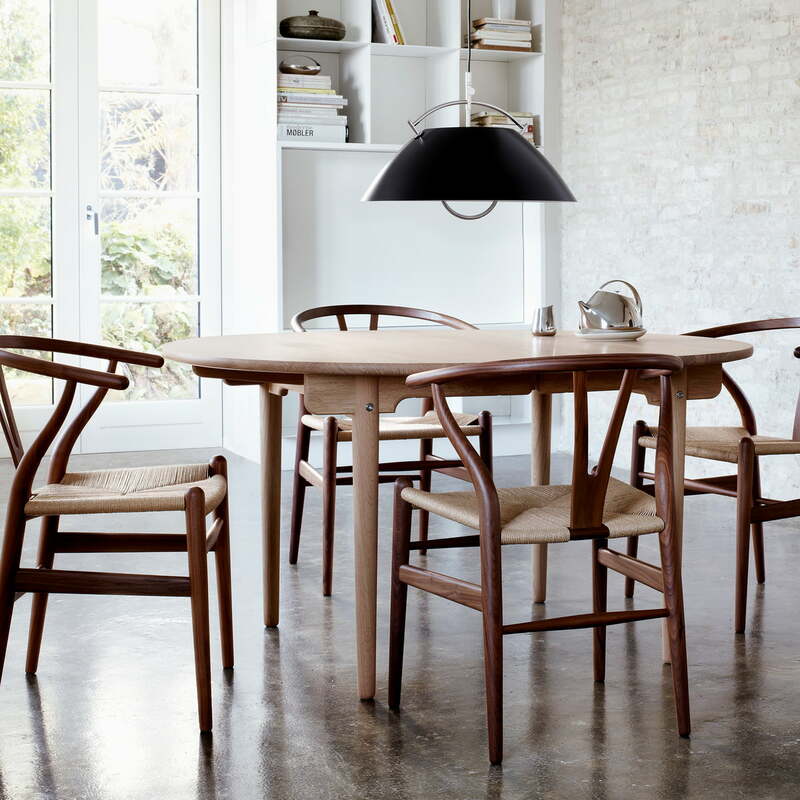 Lifestyle product image of the Carl Hansen - CH337 extendable dining table and CH24 Wishbone chair. Together, these two pieces help to create a stylish dining area, perfect for eating, playing or relaxing.